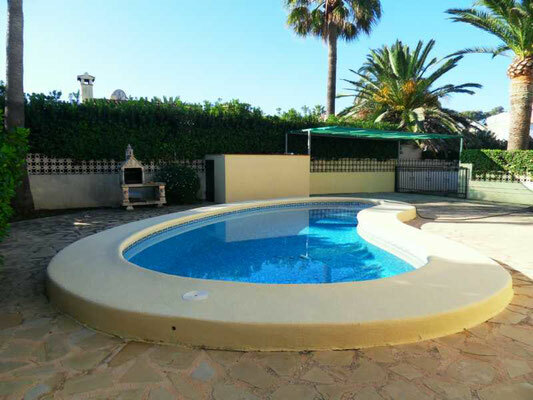 Beautiful villa located in front of the beach, with private and fenced plot, private pool, sun all year round and carport. The villa is located in a cul-de-sac on Almadrava beach, Denia. The property has two entrances, one to enter with the car and park it in the carpot and another by the side of the sea to enter by walking. Right in front there is additional space to park some more cars. The whole pool and terrace area is on the backside of the villa and very private and not visible from the street. 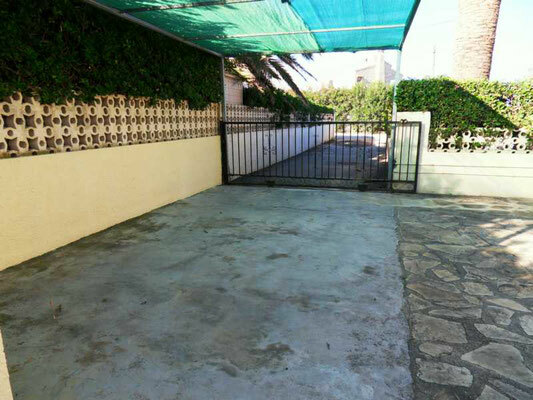 There is also a barbecue right next to it. The house is divided into two floors. 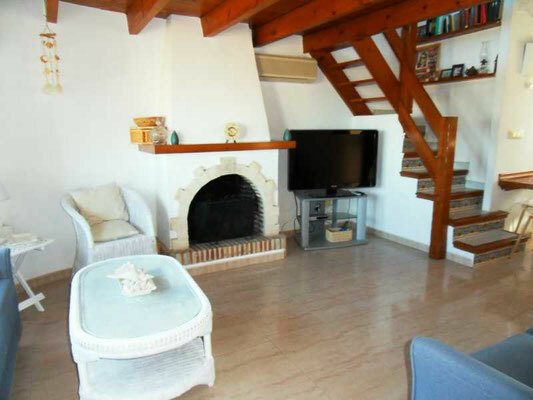 On the ground floor there are a loung with fireplace, air conditioning and sea views, an open plan and well equipped kitchen, 2 bedrooms with fitted wardrobes and air conditioning, 2 bathrooms with shower and a glazed terrace with access from the living room and views to sea. 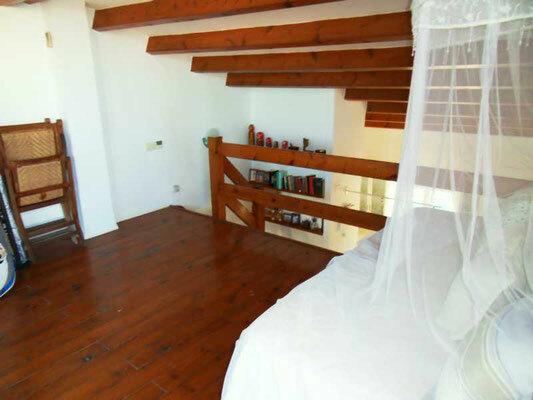 On the first floor, with access from the living room, there is another living room/bedroom on the gallery, with access to a large terrace with magnificent sea views. 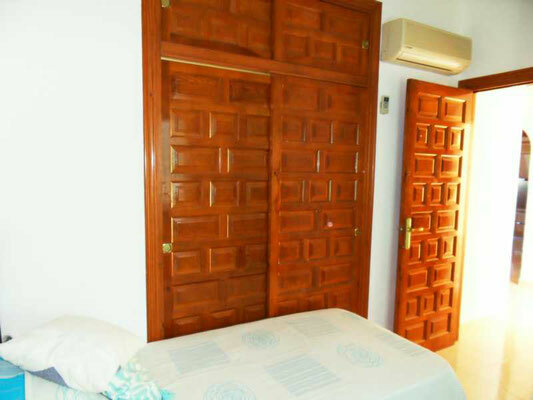 From this terrace you can access another bedroom with air conditioning and shower bath room with shower. The bedroom has also an independant acces from outside by a staircase. 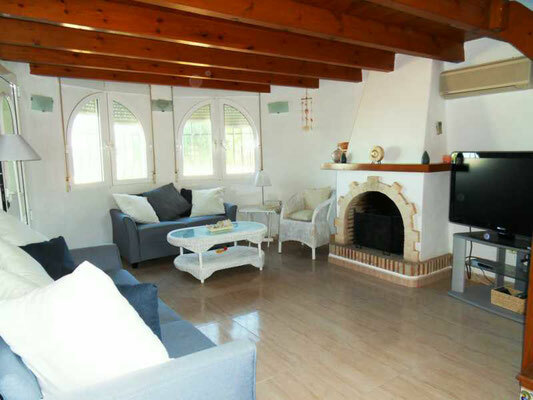 Beautiful fireplace in the living room, air conditioning (hot / cold) in the living room and in all bedrooms, fully fitted kitchen with dishwasher, washing machine, fridge/freezer, oven and ceramic hob. 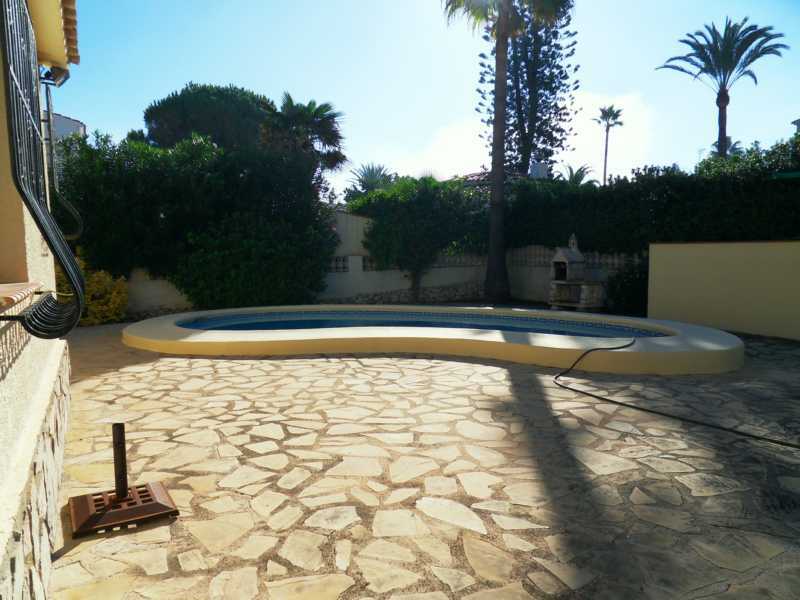 Swimming pool with outside shower. Barbecue. 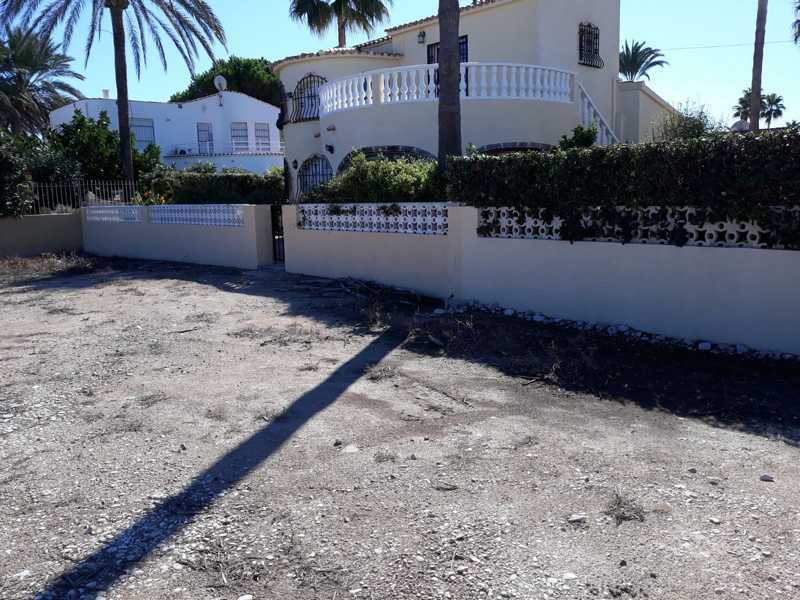 Parking with carpot. 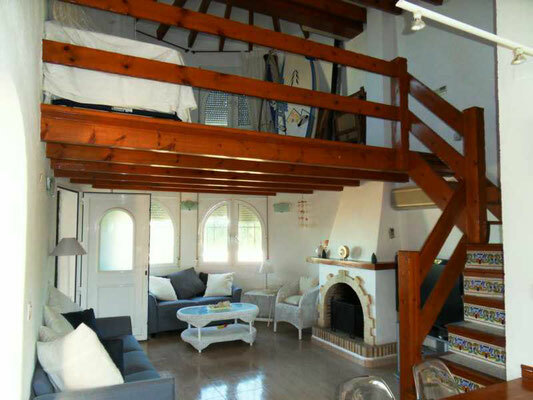 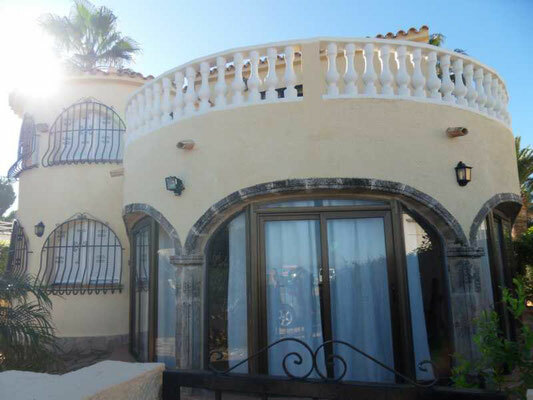 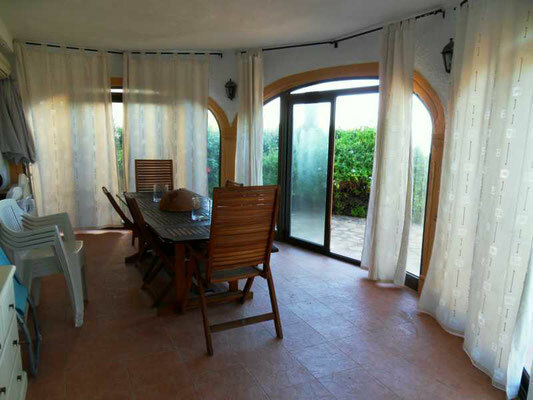 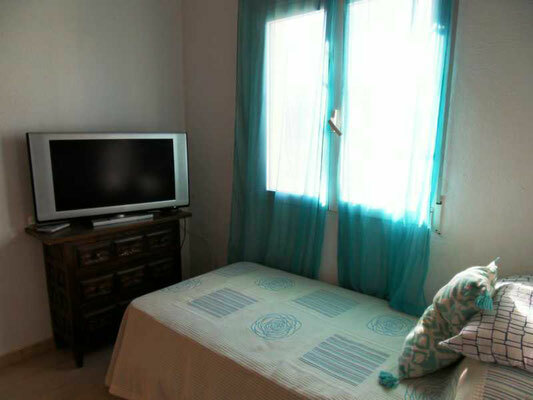 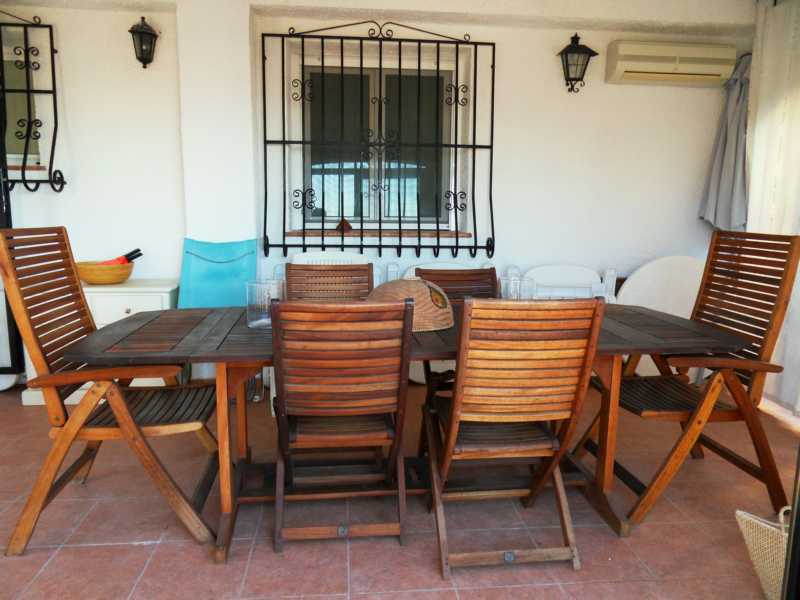 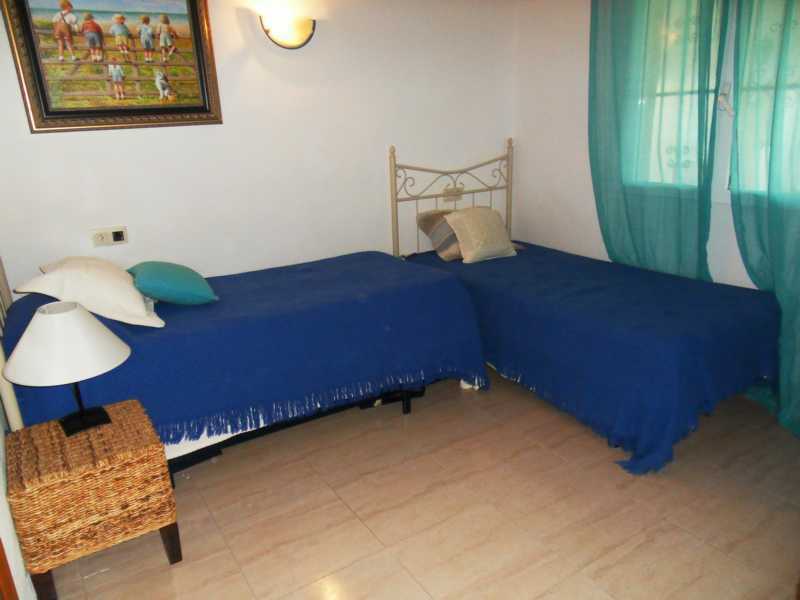 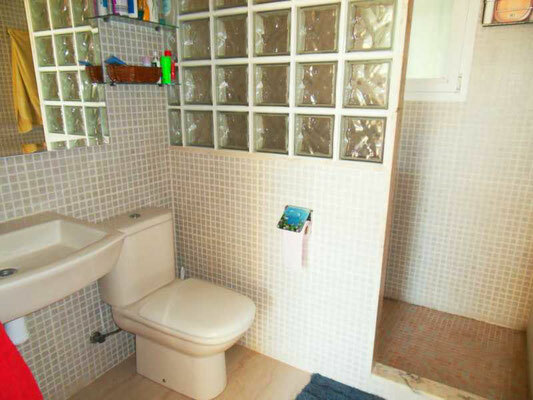 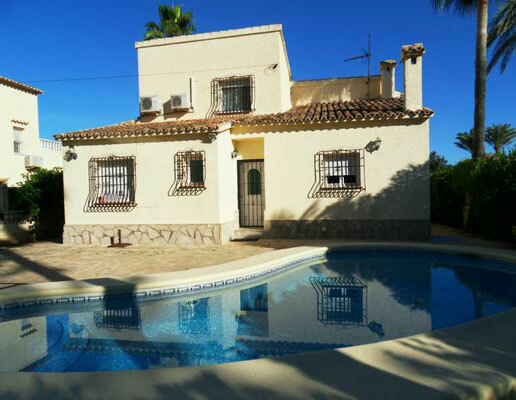 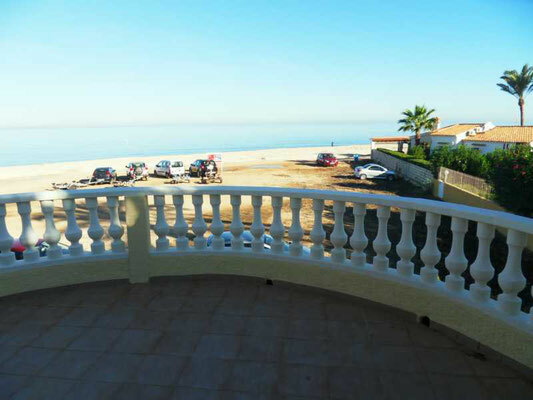 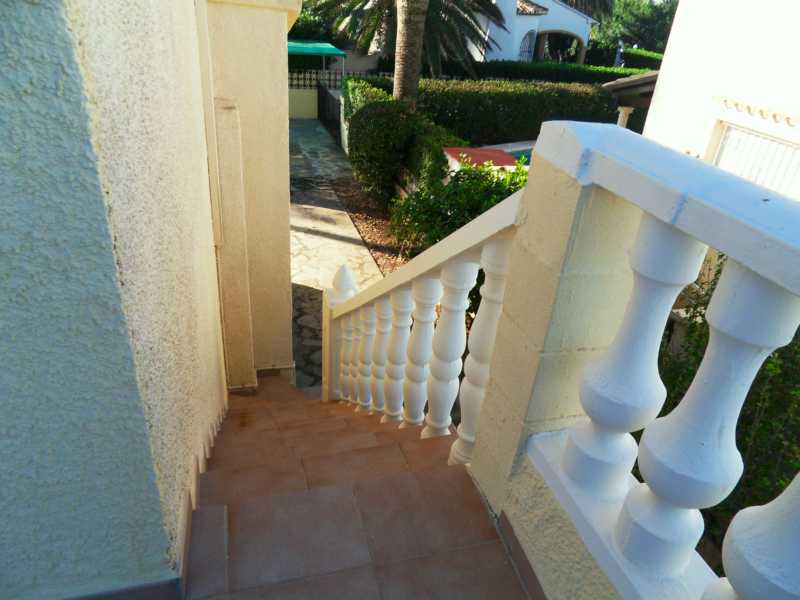 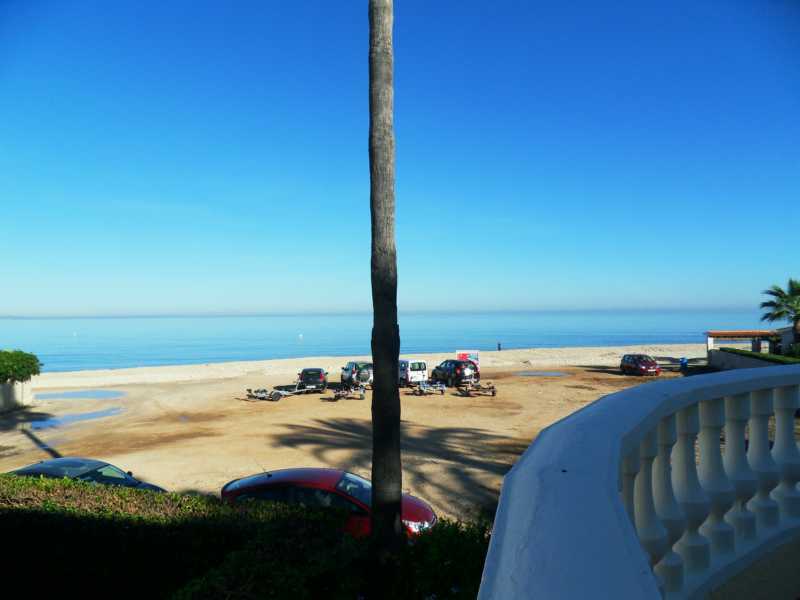 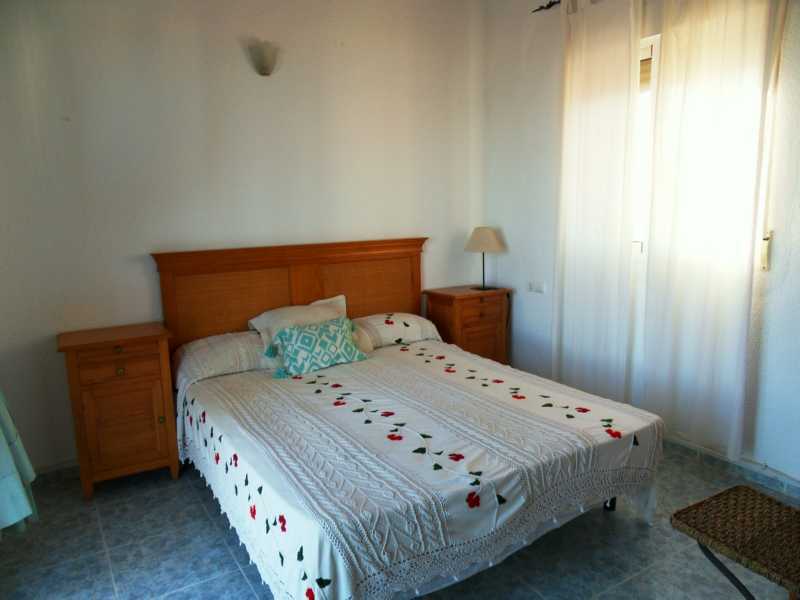 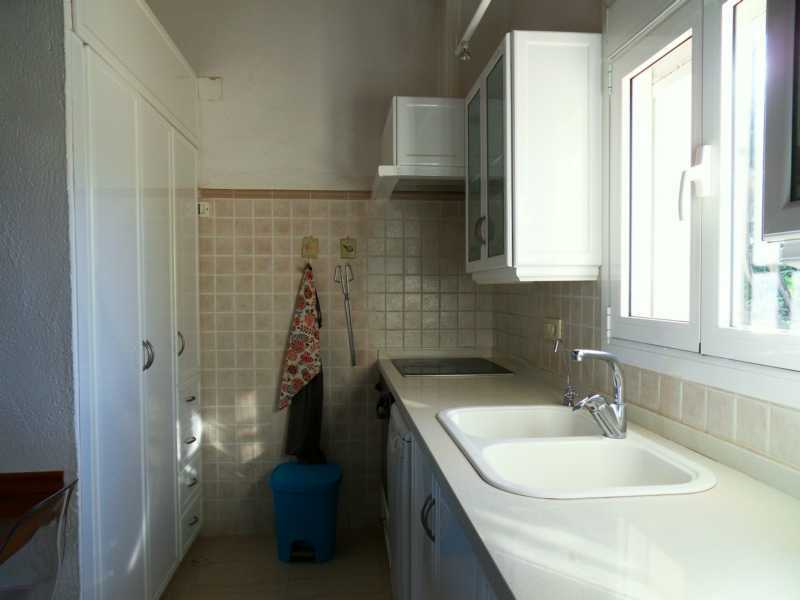 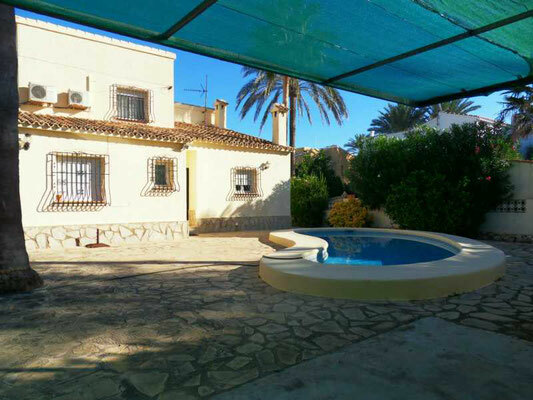 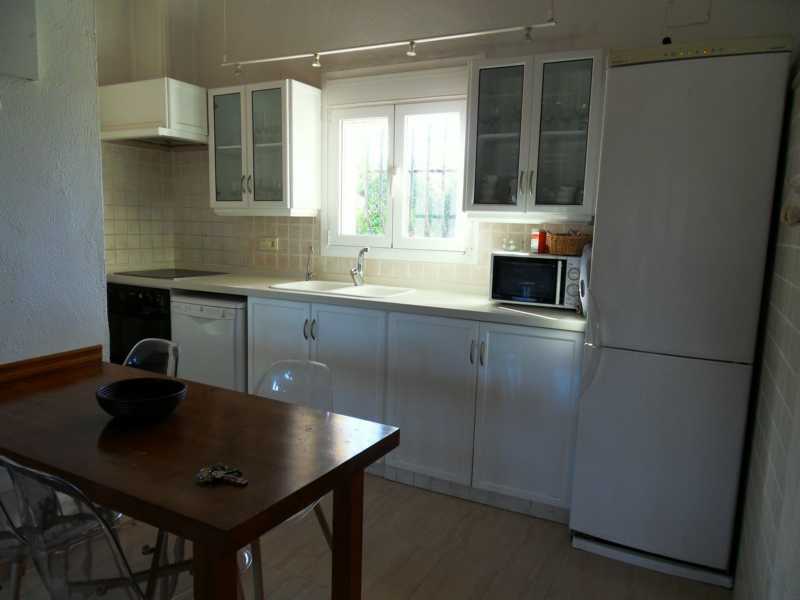 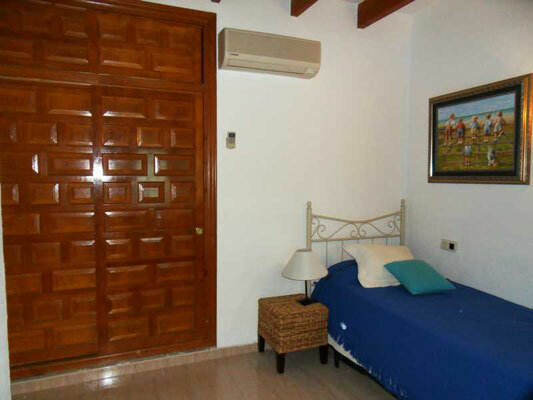 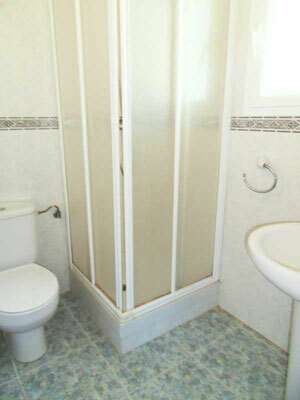 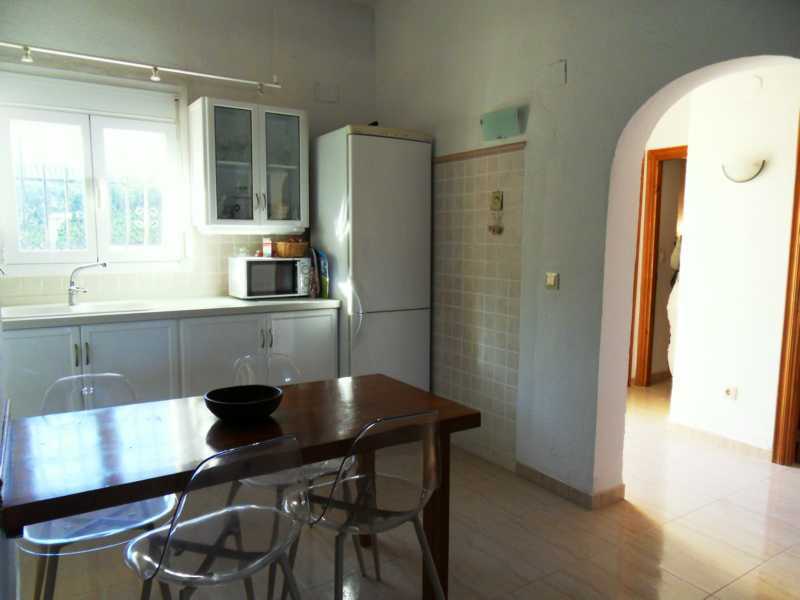 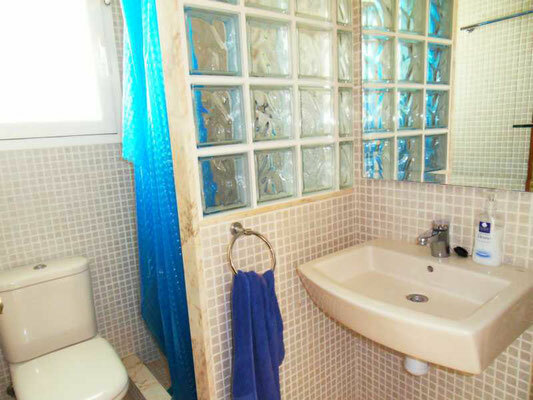 Calm area, sunny all year round, situated in a cul-de-sac on Almadrava beach, Denia. 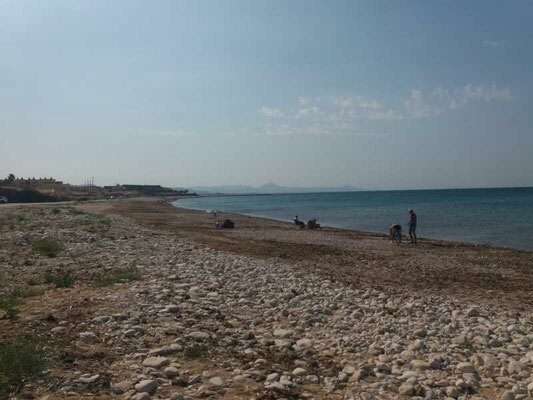 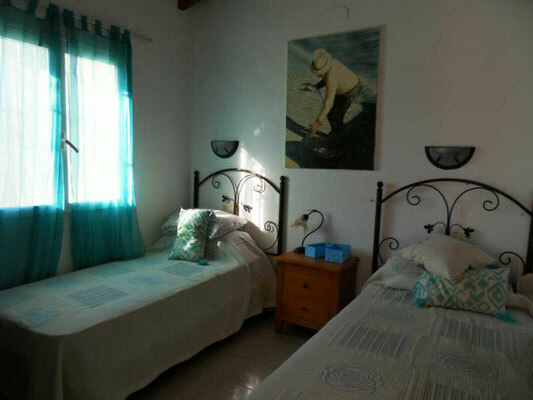 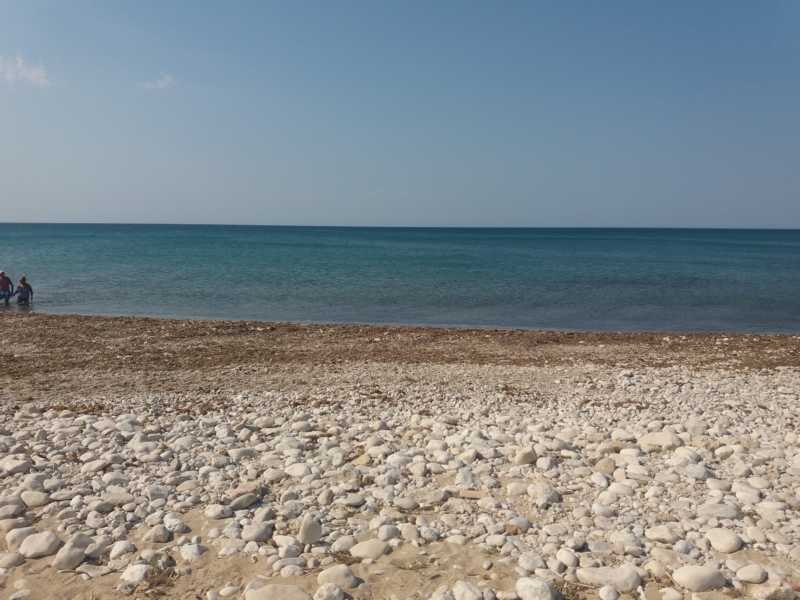 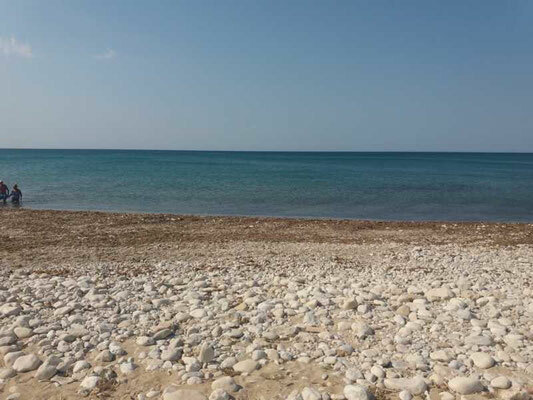 A few minutes from the village centre and the fine sandy beach. 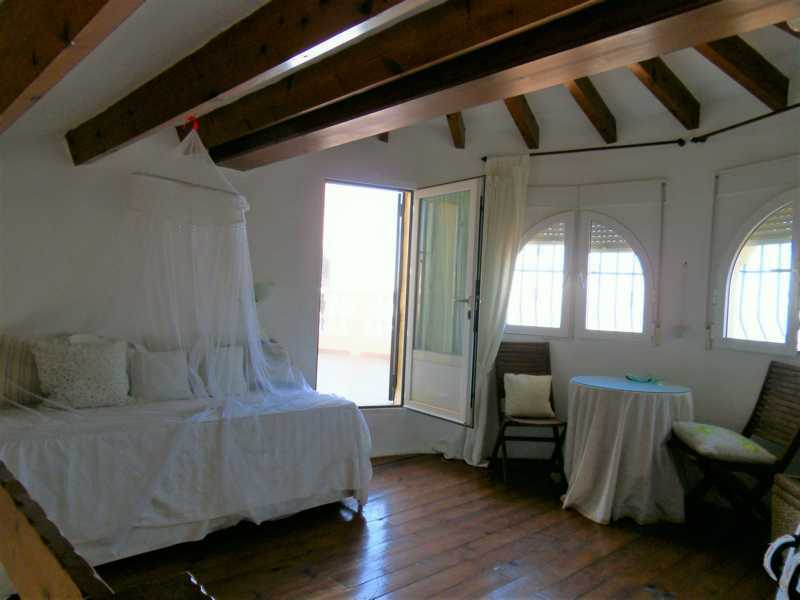 The nearest village, Els Poblets, has a good infrastructure and is at only 1,2 km. 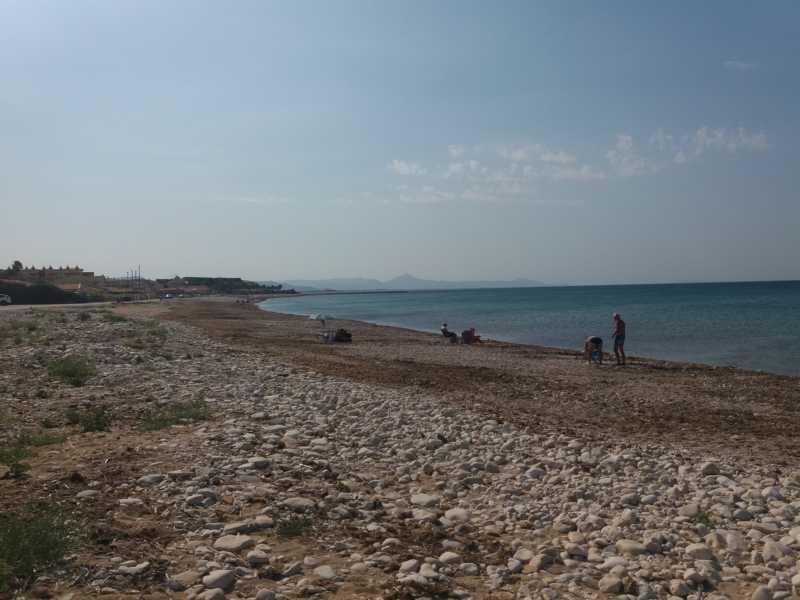 The centre of Denia at 8 km, offers a very complete infrastructure with endless shopping facilities, a modern hospital and a large offer of leisure activities, a modern Marina, a fishing port, an interesting historic centre and an impressing number of good restaurants. 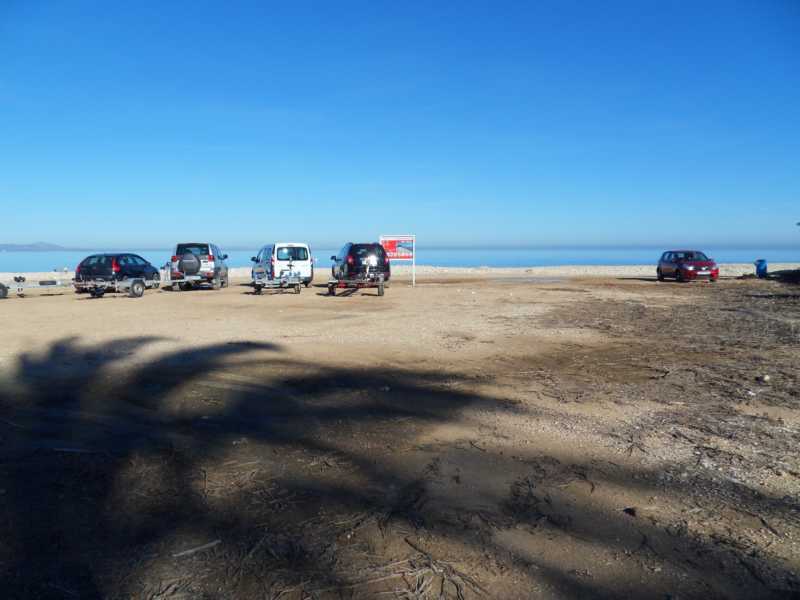 The diversified 20 km long sandy beach offers something for everyone, different sport activities, calm areas, beach bars, cliffy bays in the nature reserve, great for diving and snorkeling. 2 renowned golf courses (La Sella Golf Resort and Oliva Nova Golf) are at just 10 km from the villa.